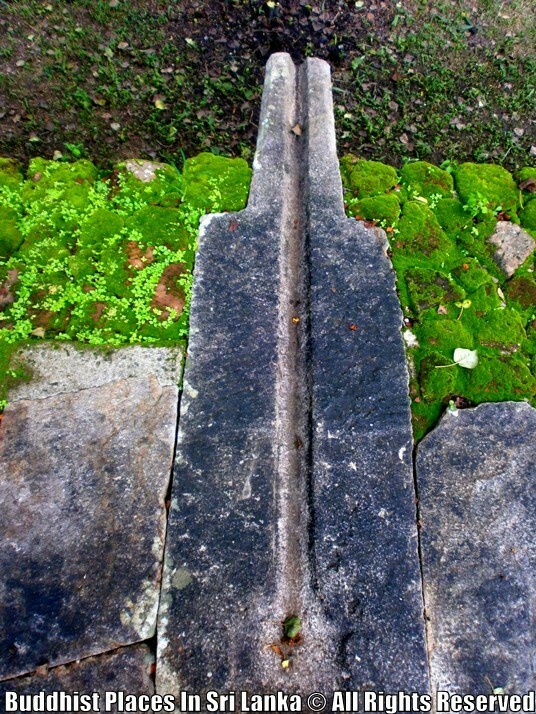 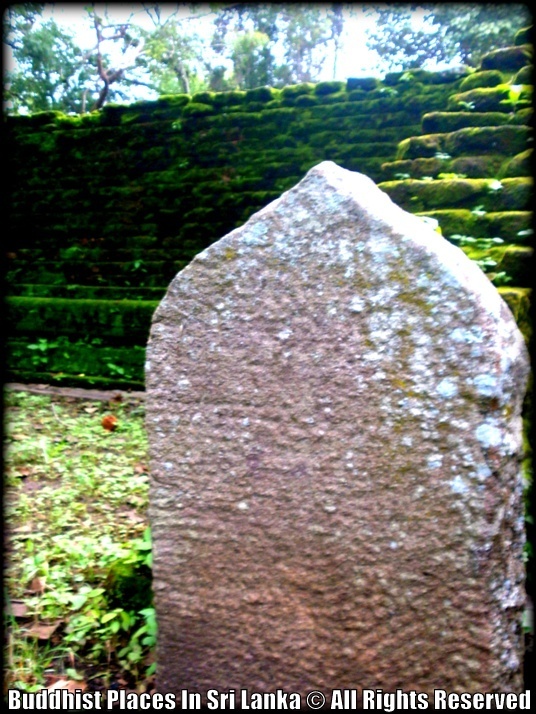 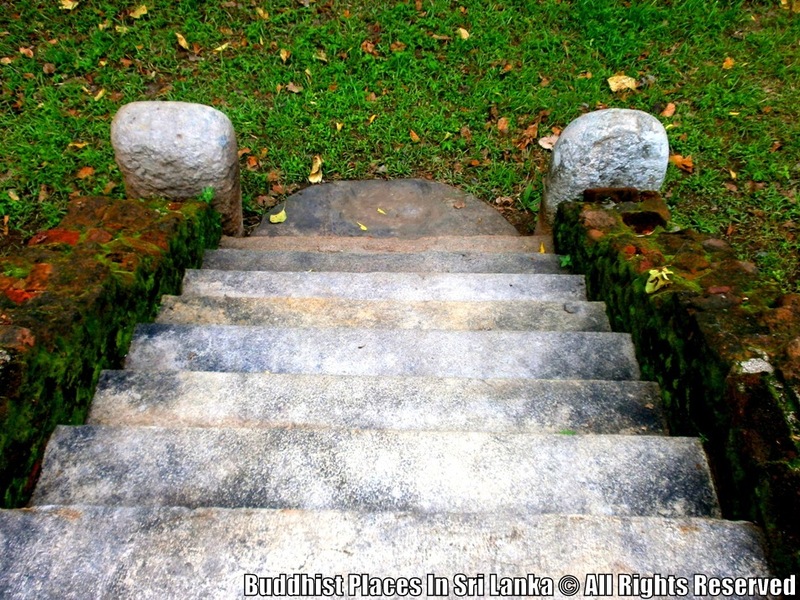 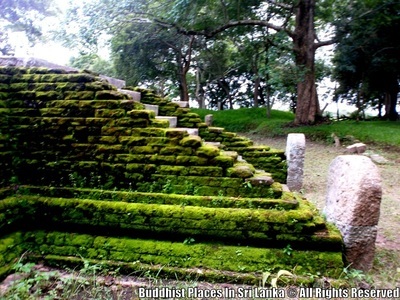 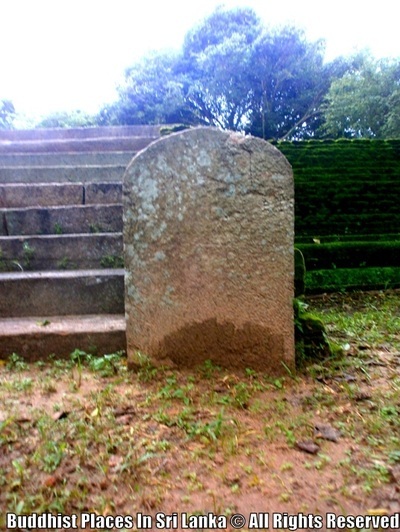 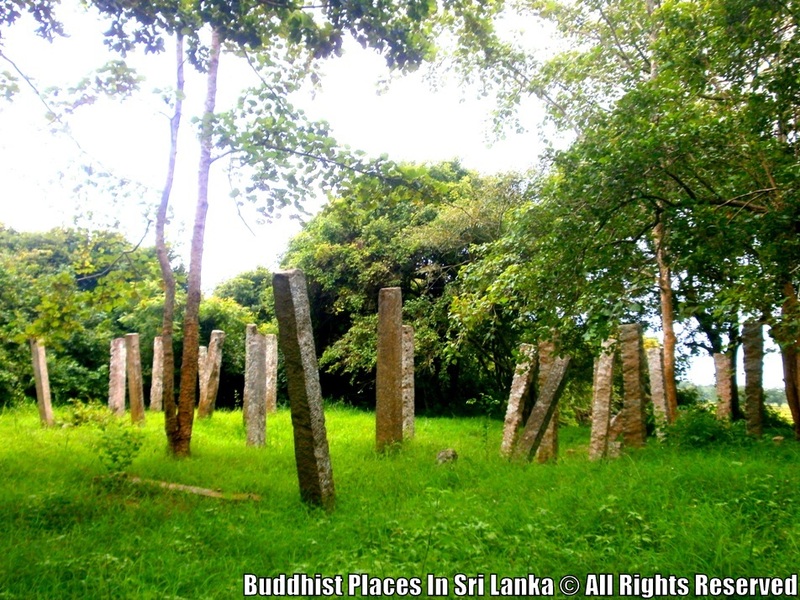 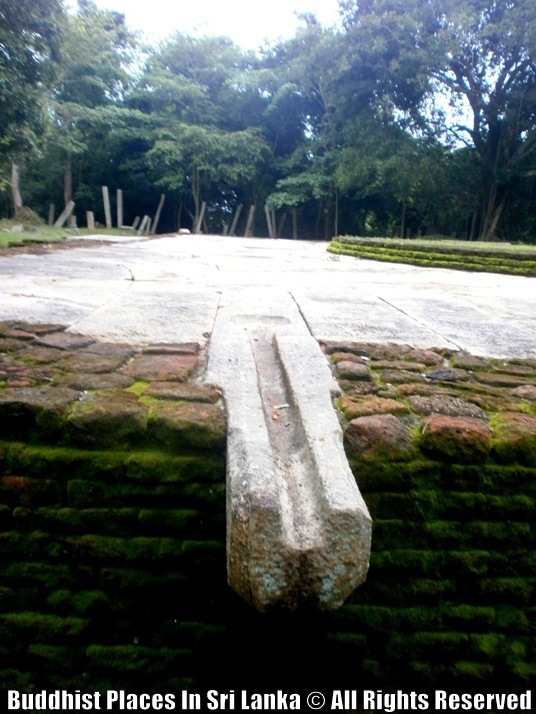 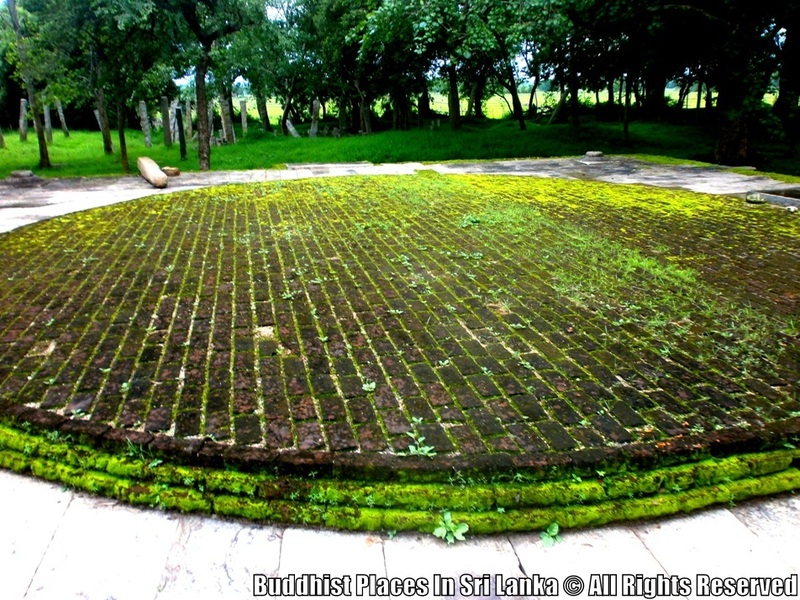 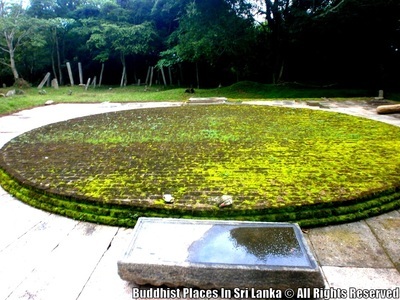 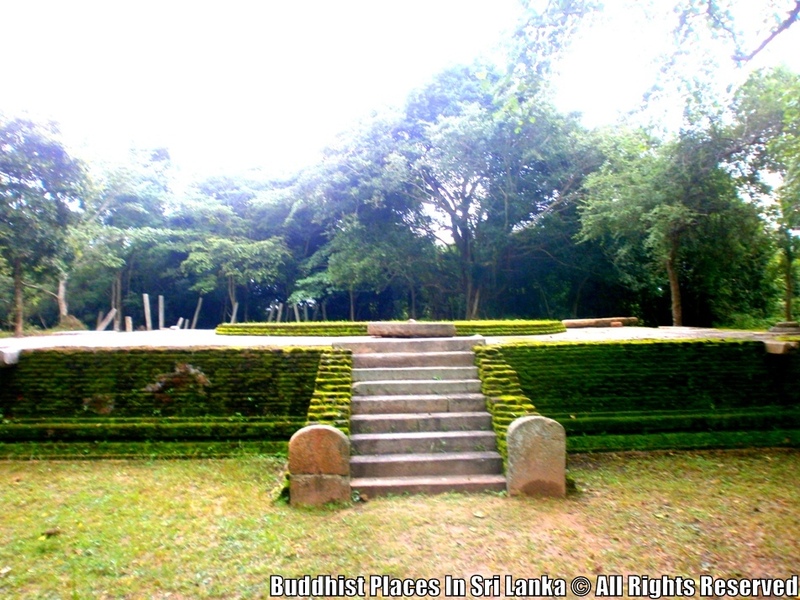 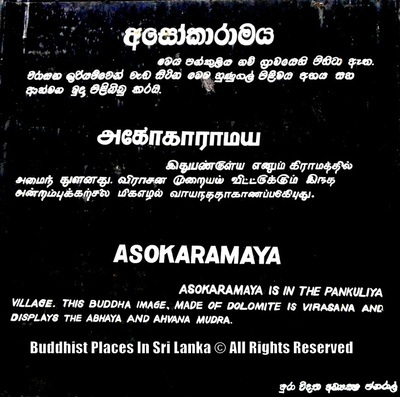 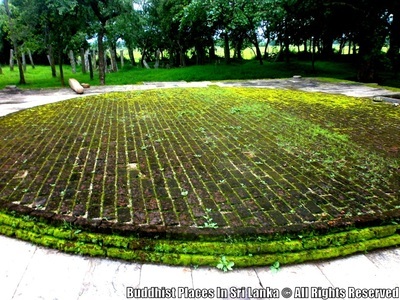 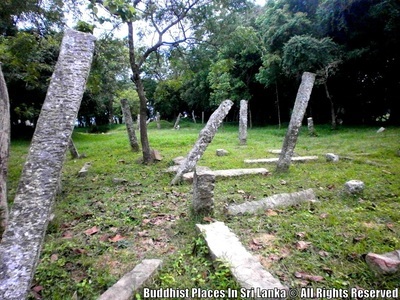 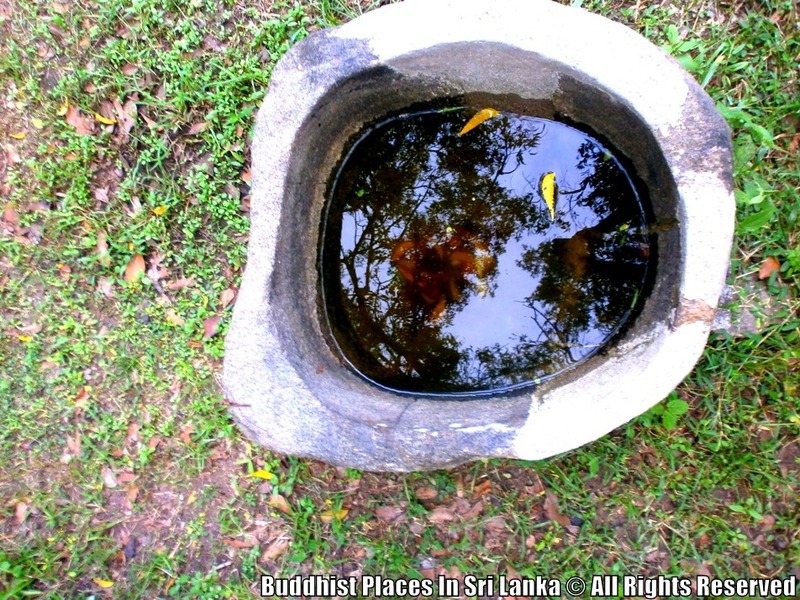 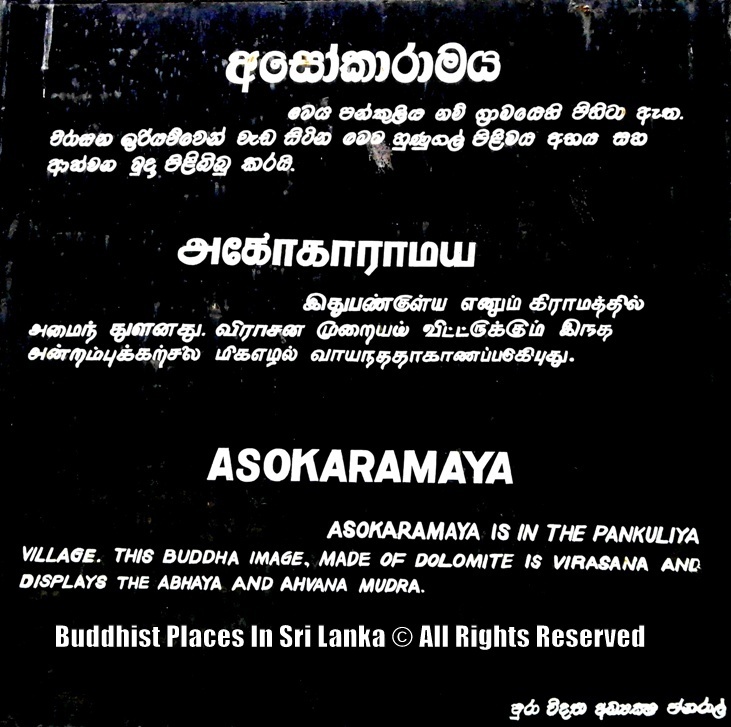 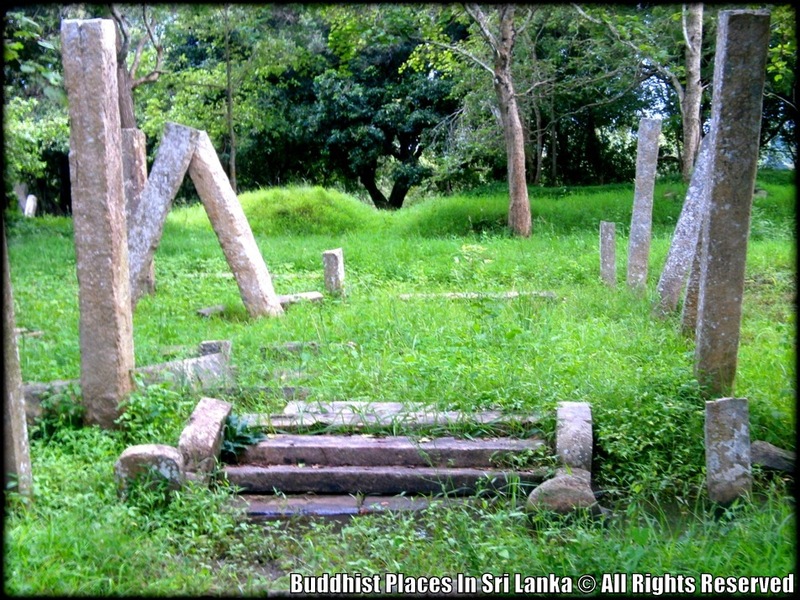 Asokaramaya is located in a beautifulsurrounding in the village of Pankuliya. 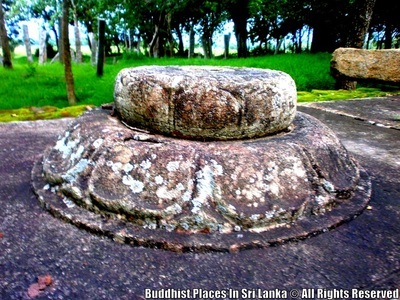 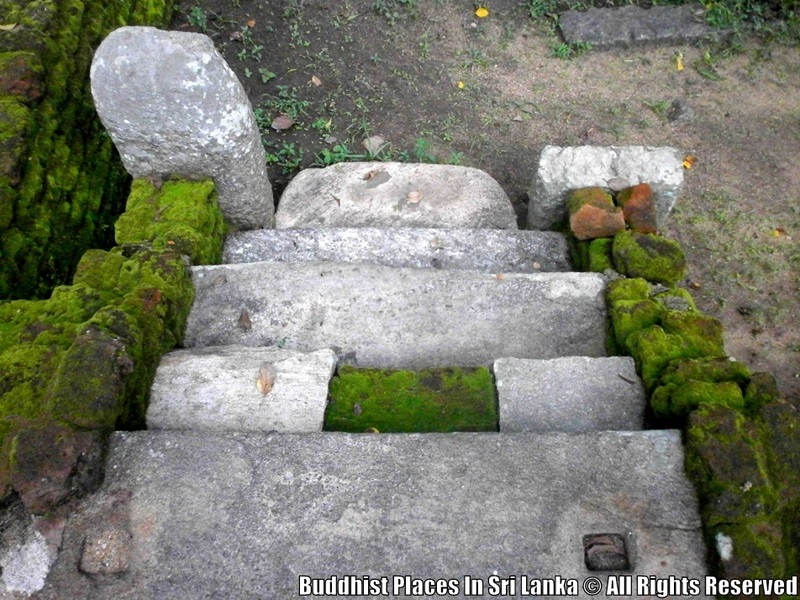 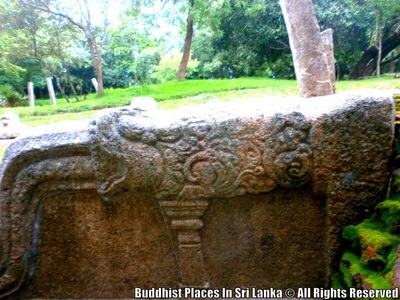 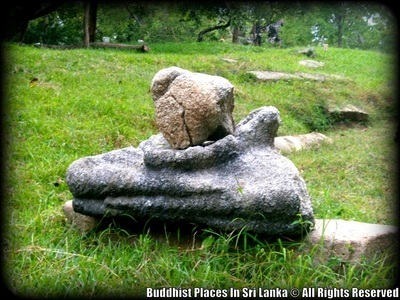 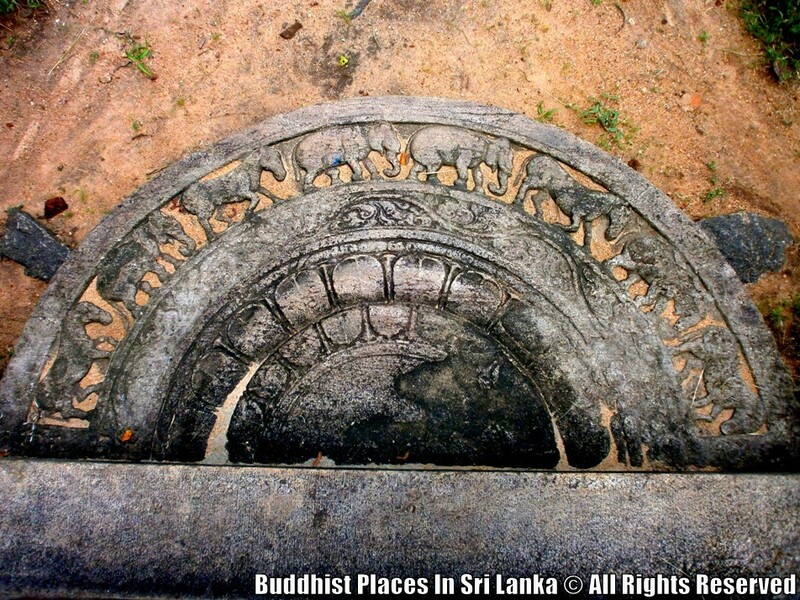 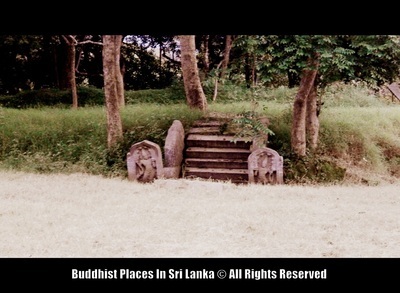 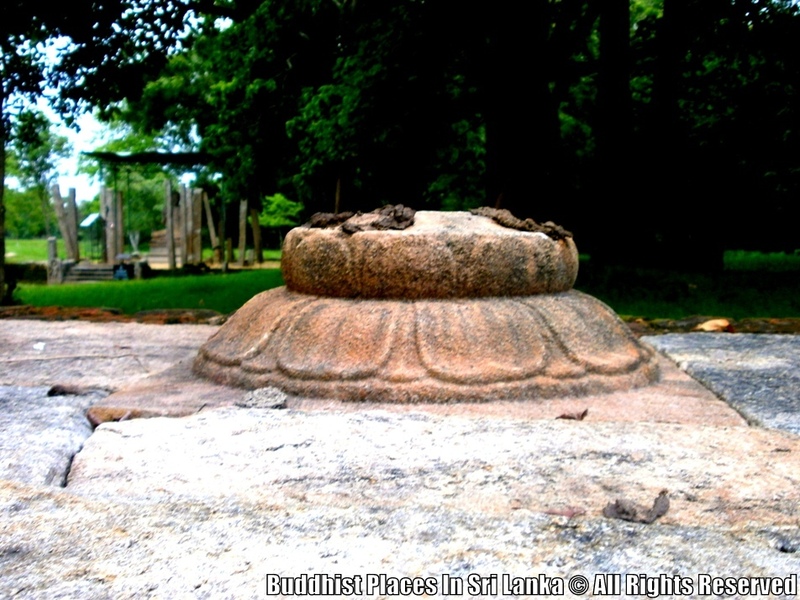 This is a fairly unknown site to the average pilgrim but has one of the best carved Buddha statues in the country today. 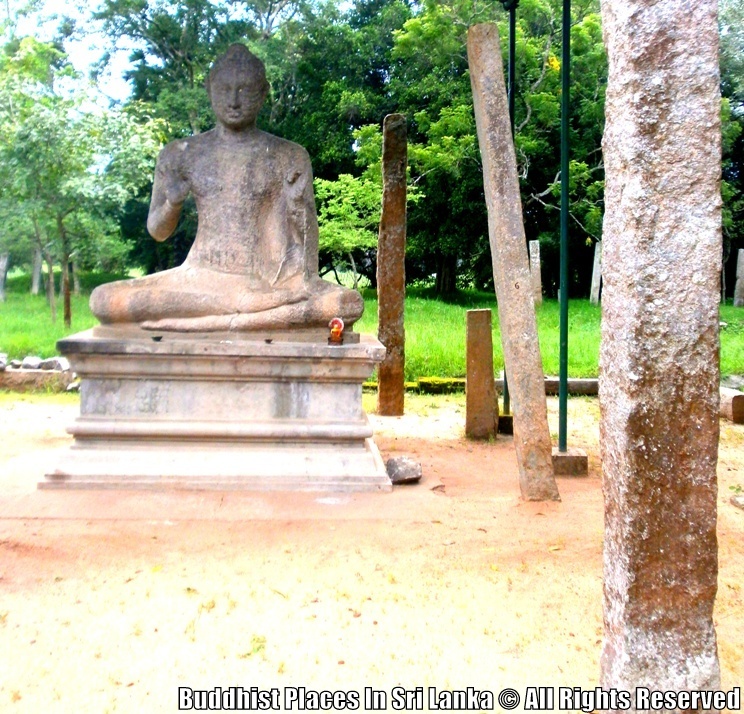 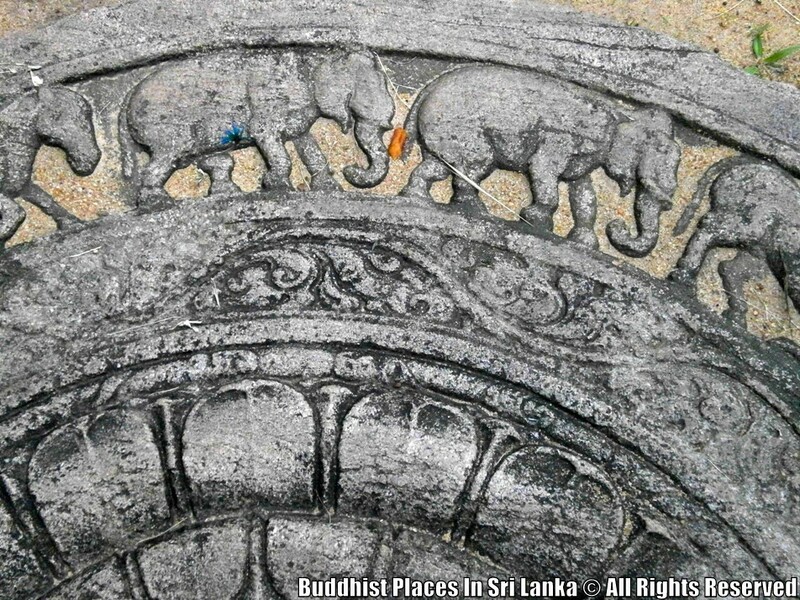 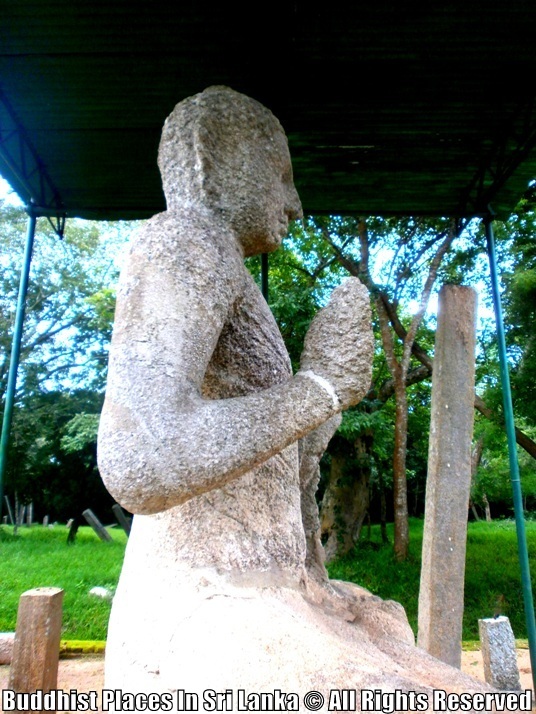 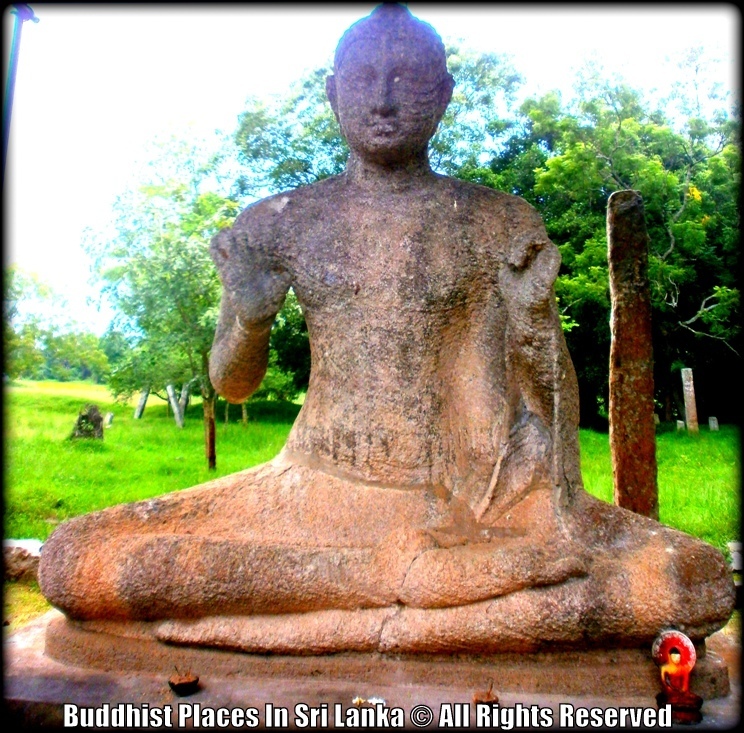 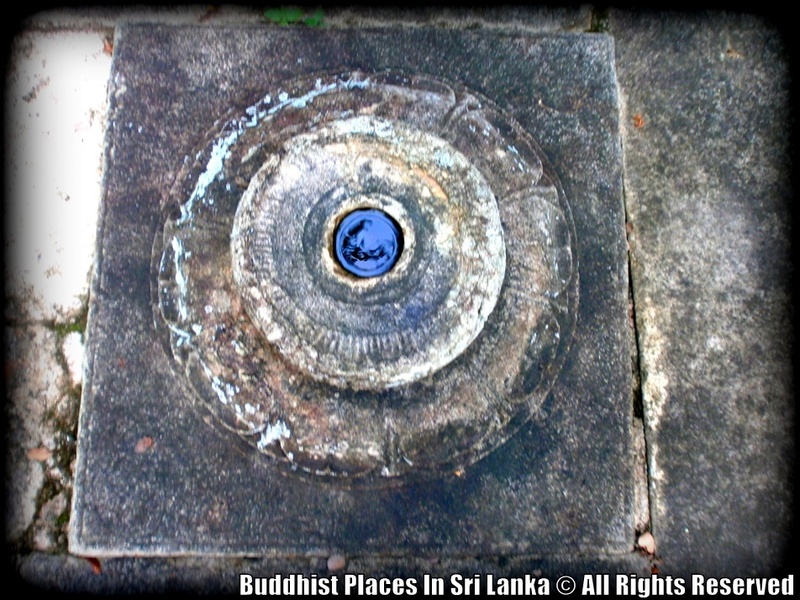 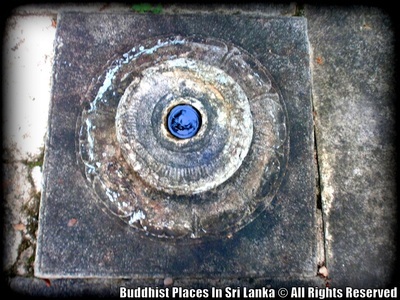 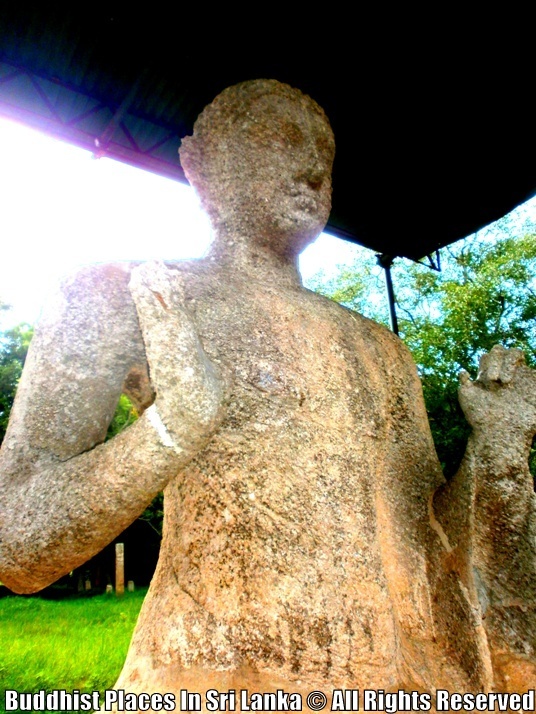 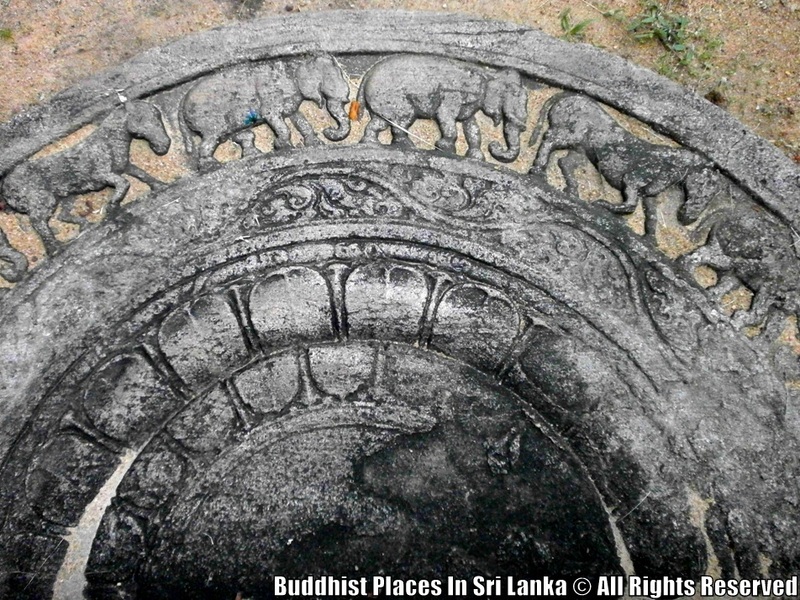 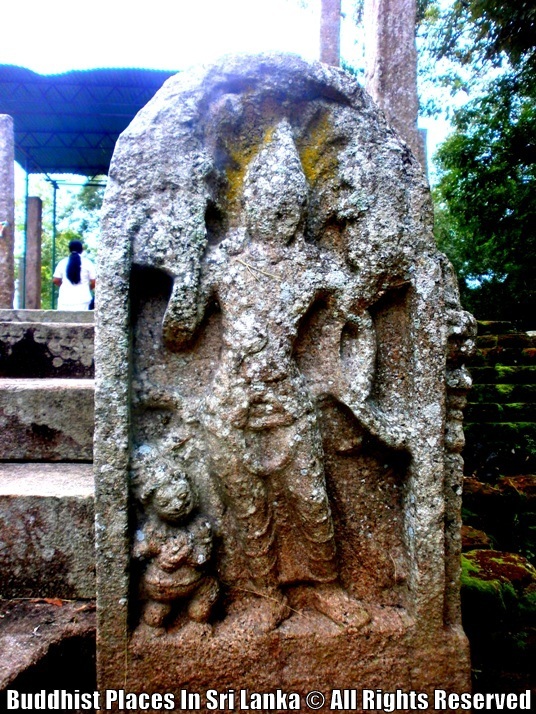 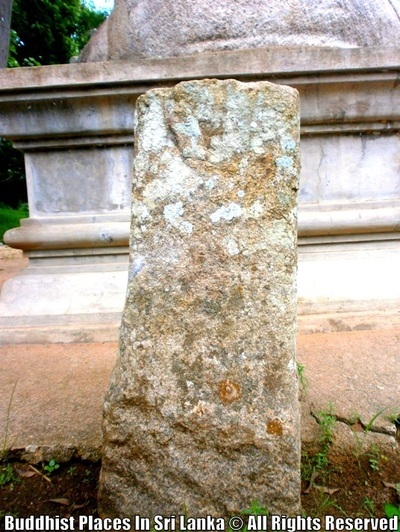 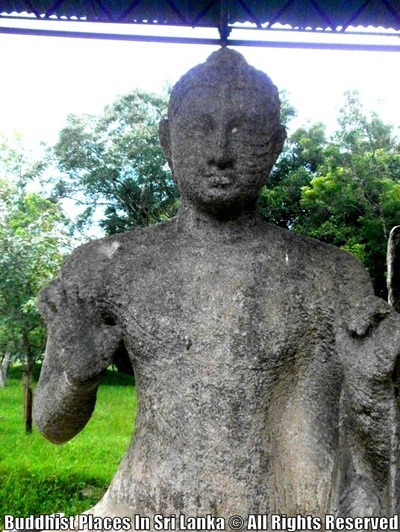 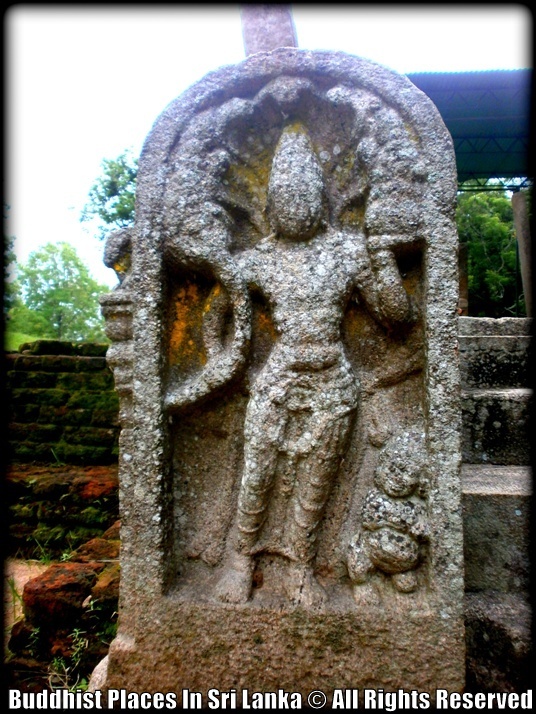 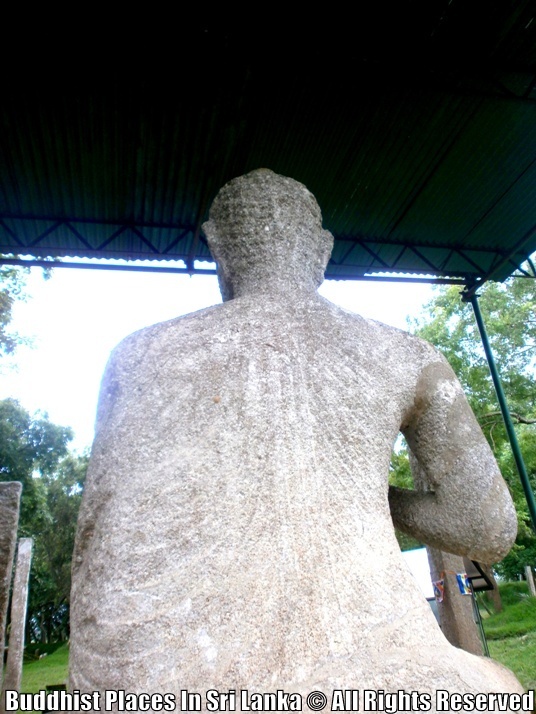 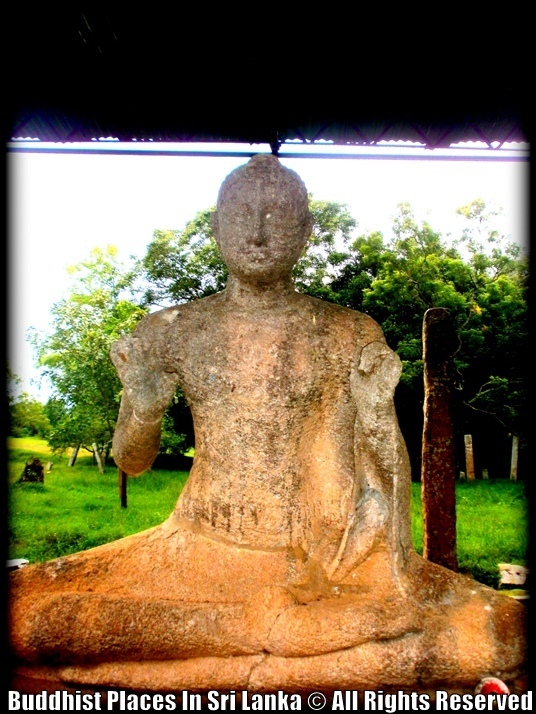 This statute equals the quality of the famous Samadhi Statue and the Tholuvila statue (which is now kept in the Colombo museum). 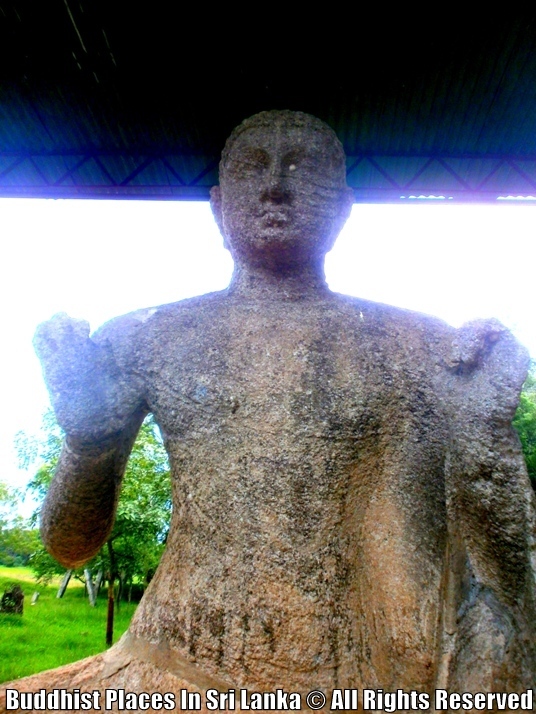 This statue is also known as Pankuliya Buddha statue. But unfortunately this area has been rather neglected recently and not visited by pilgrims. 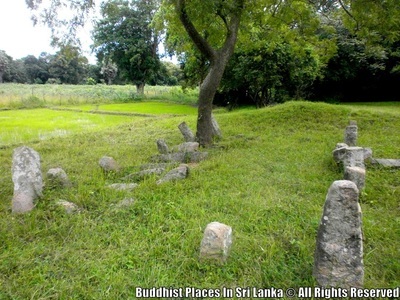 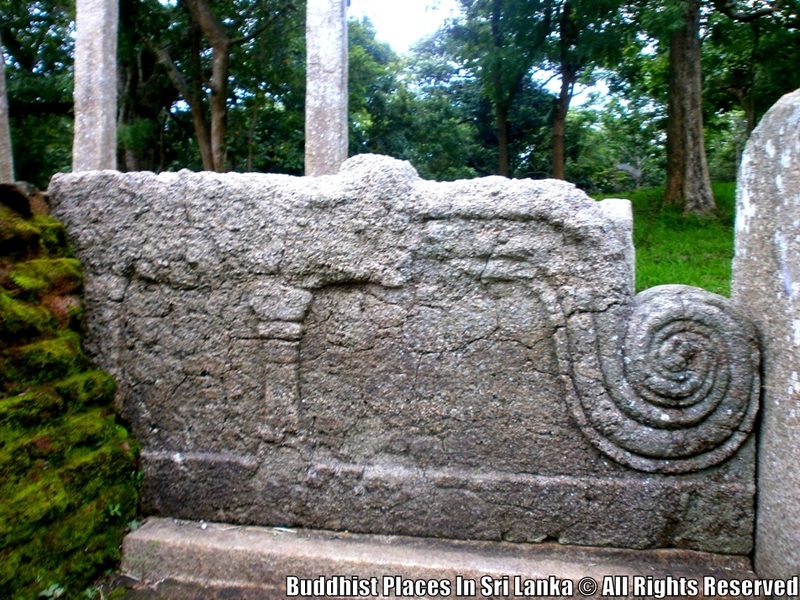 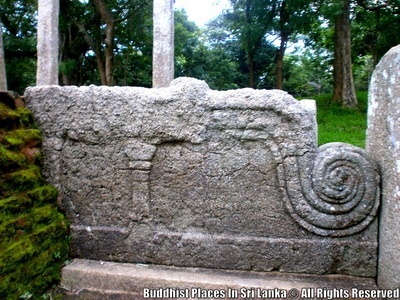 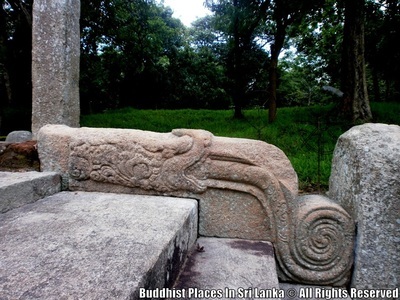 In addition to this very fine statue Asokaramaya is surrounded by now ruined long columned buildings with beautiful guard stones and a pool. This is thought to be a nunnery and the original name of this site is not known. 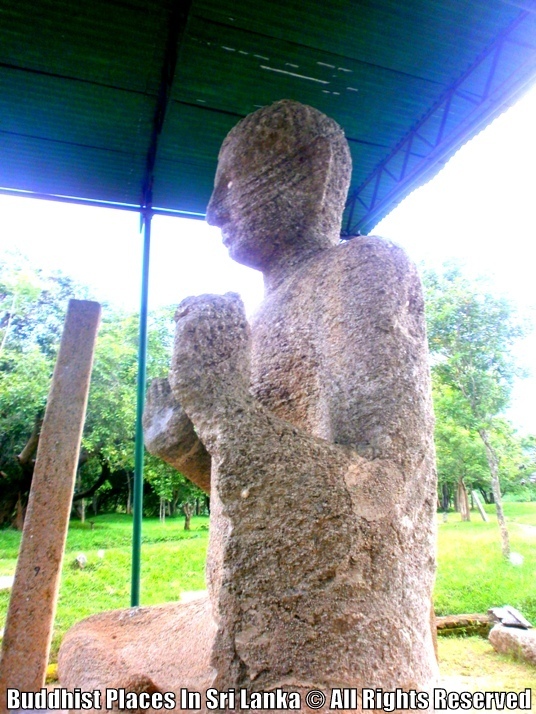 This statue is said to belong to the 9-10th century and is made of dolomite. The eyes are hollow indicating that they have been studded with precious stones in the past. The statue is 6 feet 9 inches (2 meters) in height protected by a concrete structure with a roof rather destroying the real beauty of the statue.